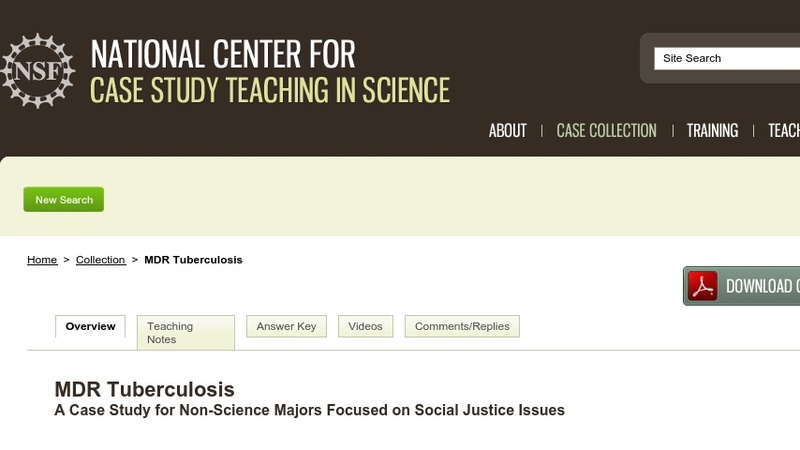 In this case study on multi-drug resistant (MDR) tuberculosis, students consider ways in which to preserve health as a human right without subjecting already marginalized communities susceptible to the disease to further discrimination. Students learn about the science behind TB diagnostics and current treatment protocols as well as the political and social history of TB outbreaks and the development of MDR TB. The case makes use of video clips, news stories, public health press releases and reports, and other secondary and primary literature. It can be used in a variety of courses that span the undergraduate and graduate level curriculum.